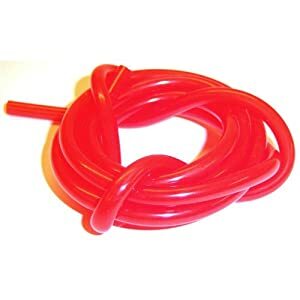 Silicone fuel line, very flexible, doesn't harden in glow fuel. High temperature resistant. it have blue,yellow,green,red,purple,black,orange,dark blue for your choice. You can purchase a roll,also we can do 36"/18''/100cm/50cm length for you each. Also we can do anti-static for you if need.